What Does Routine Dental Care Mean? Are you looking for more information about routine dental care? Visiting your dentist on a regular basis is vital to your having a healthy mouth. When your mouth is healthy, it is likely that the rest of your body is going to be healthy, too. Ready to find out how often you need to visit your dentist for good oral health? Here we will answer those questions and many more. Wanting to find out a little more about routine dental care? While general guidelines for visiting a dentist is about every six months, it is going to merely depend on the patient when it comes to how often they will need to get their regular dental care. The American Dental Association recommends regular dental visits to maintain optimal oral health, which is determined by a dentist. This means that while six months is a general guideline that most dental patients will need to follow, you may need to see your dentist less or more often, which is merely going to depend on the state of your oral health. Going to the dentist on a routine basis for dental care means seeing them on a regular basis. Many people will only go to the dentist when they are having oral problems, of which the high majority of these problems can be prevented by seeing a dentist on a regular basis. When a dental patient makes it a goal to visit their dentist routinely, they are much less likely to experience any oral problems, making routine dental care very important. The importance of regular dental visits should never be underestimated! When a dental patient makes regular appointments with their dentist, they are much less likely to be diagnosed with dental problems like tooth decay, gum disease and cavities. 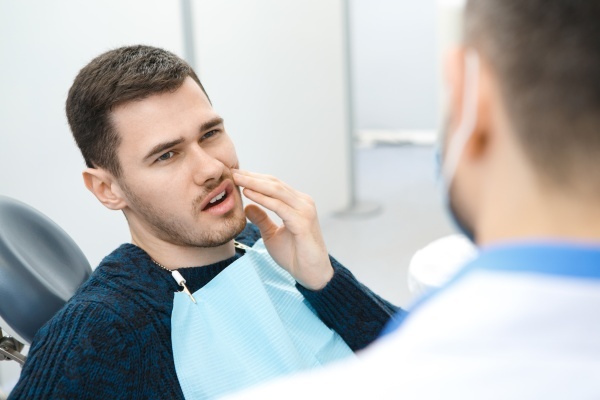 When dental issues are addressed sooner rather than later, it makes it much easier for the dentist to correct any oral problems the patient may currently be suffering from. Regular dental care includes professional teeth cleaning. The cleaning of the teeth is one of the best ways for dental patients to prevent being diagnosed with oral problems. While the high majority of dentists will recommend that their patients get their teeth cleaned every six months, many patients to visit their dentist on a routine basis will only need to have their teeth cleaned once a year. This is because their regular trips to the dentist have allowed them to have a healthy mouth and for that reason, they do not need their teeth to be cleaned as often as those who do not routinely receive dental care. In need of routine dental care? When is the last time you went to the dentist? If it has been more than six months since you have been to a dental office, then it is likely that you are due for the regular dental care necessary for your good overall oral health. We are currently accepting new patients and would love to hear from you today, whether you are in need of routine care or have another dental-related question. Request an appointment in our Glendale dentist office here: https://clarisseatakhaniandds.com.